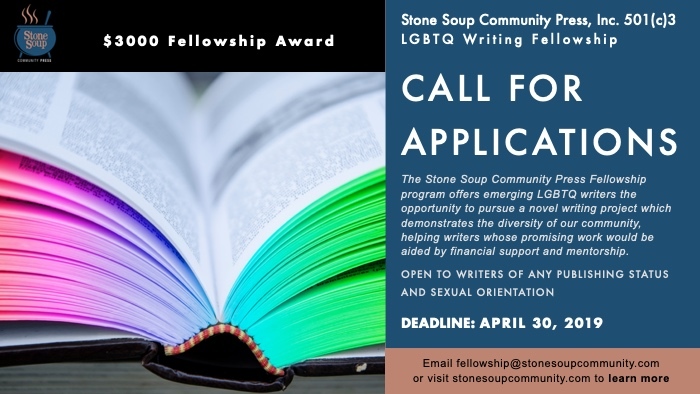 The Stone Soup Community Press Fellowship program offers emerging LGBTQ writers the opportunity to pursue a novel writing project which demonstrates the diversity of our community, helping writers whose promising work would be aided by financial support and mentorship. We are looking for submissions which step outside the traditional formulas of the sub-genres. We want stories that include all forms of diversity within our community. We want protagonists of all colors, all ages, all economic statuses, all shapes and sizes, all abilities and health status. We want stories that don’t necessarily have a traditional HEA ending. We want protagonists who identify as straight, bisexual, transgender, confused, questioning, experimenting, not into labels, etc. so long as they are in or pursuing a woman loving a woman relationship if an intimate relationship is featured in the story. We are looking for diversity in our authors as well. Your sexual orientation, gender identity, color, economic status, health status, etc. 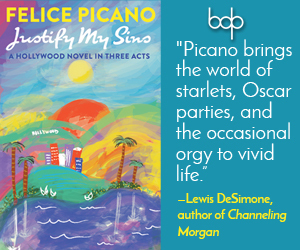 doesn’t matter so long as you’ve written a well-crafted and compelling story. 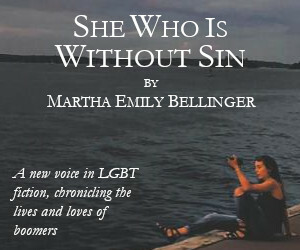 The program offers the opportunity to interact with other LGBTQ writers and publishers through our mentorship program. The winning fellow is awarded a stipend of US $3000 paid no later than July 31. Currently, Stone Soup Community Press offers a single, one-year fellowship for a work of fiction or non-fiction in a novel-length work. In awarding the fellowship, the selection committee considers the quality of the candidate’s proposal and any factors that would lead to expectations of future publication and other achievement. Stipend: US $3,000. Fellowships are open to residents of any country. Applicants must be fluent in the English language and only works in English will be accepted. An outline or synopsis of the entire novel (750-1000 words maximum). The work must be completed during the term of the fellowship. The completed work will be published under contract by Stone Soup Community Press. As such, it must not be under contract or submitted for publication to another press. Submissions must adhere to our Submission Guidelines. Submissions not adhering to these guidelines will be rejected and the application fee returned.